Reepham High School and College (RHSC) is a “good” school with an “outstanding” sixth form, according to Ofsted, the Office for Standards in Education, Children’s Services and Skills. 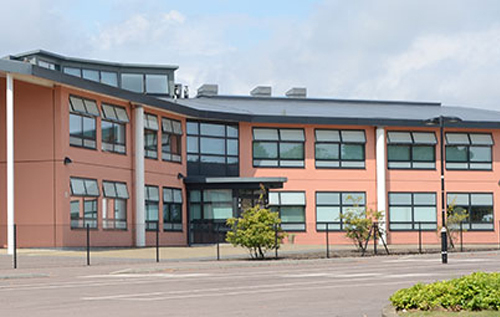 After inspecting the school in early May, the education watchdog’s latest report showed that RHSC has retained the same rating it was given in 2013. In a detailed letter to the school’s principal, Mark Farrar, Ofsted inspector John Lucas said: “There is a distinctive ethos of respect that permeates almost all areas of the school. “It is a harmonious place to learn. This is because you have established an atmosphere in which excellent relationships are the norm. Mr Lucas said the sixth form continues to “lead the way for other areas of the school in many aspects of its work. “The highly effective sixth-form leader has high aspirations of what students can achieve. These aspirations are shared by teachers in the sixth form. The inspection further found that pupils at RHSC feel safe and the school has improved in many areas since the last inspection in 2013. The report added that teaching is effectively monitored, governors are well informed, share Mr Farrar’s high aspirations and are able to hold him to account where they feel things could be improved. It added that pupils are “overwhelmingly positive” about the education they receive at RHSC. In a letter to parents/carers, Mr Farrar admitted he was a little disappointed that the school was not judged as “outstanding” at everything. To become outstanding, Ofsted suggested that further actions need to be taken to identify why disadvantaged pupils’ attendance and achievement are low. Mr Farrar said: “Our disadvantaged pupils already achieve significantly higher than disadvantaged pupils in the country as a whole, but they do not achieve at the level of non-disadvantaged pupils. This is a demanding challenge, but one we are determined to meet. Overall, Mr Farrar said the school was pleased with the report, “but also determined to make our school even better”.